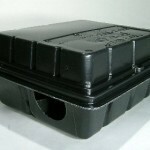 PRODUCT DESCRIPTION: Rat Bait stations are used to protect rodenticide from moisture and dirt. Each box is 9" wide by 8" deep by 4 1/2" tall. 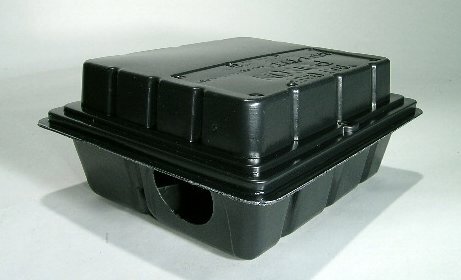 There are two compartments inside to place bait. WHERE TO USE IT: In and around businesses and homes away from pets and children. If children or pets have access to baited areas, use Tamper Proof bait stations for maximum protection. RATE OF APPLICATION: Depends on infestation or level of maintenance wanted. Generally one every 10-15 feet is required.